Seven-year old Ebony was a daddy’s girl and mad about the circus. Ebony was diagnosed with neuroblastoma before her 4th birthday and her family’s life revolved around endless hospital visits and rounds of treatment as Ebony battled her cancer. “Making memories is a special thing. The last few years have been tough but we keep going because we have no choice. 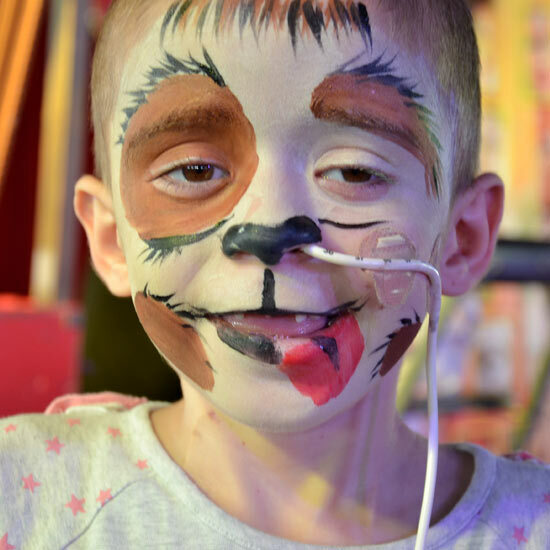 Being able to run away to the Circus Starr show and enjoy time spent together as a family away from hospital beds, chemo and radiotherapy was a tonic. Sadly, Ebony died on 21st November 2016 just two and a half months after her day at the circus. We feel very privileged to have met such a brave and beautiful girl and her family.